I found this fascinating article on “The Arms and the Hands” by Laura Martlock at The Mane Street. I reorganized it in a way it’s easier for me to remember. Enjoy! To balance, we first use our feet. When we can’t, we instinctively use arms and hands to balance by grabbing or throwing them out. Sometimes this powerful instinct can completely take over and our hands cannot let go. If a rider can’t use their feet to balance (either because they cannot, or they’re told not to because it creates stiffness) their next resort is their hands. They grip the reins or saddle, sometimes to the extent they can’t let go. 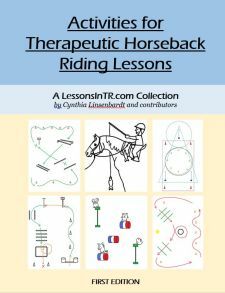 When a rider uses their hands to balance, pulling or floating them in the air, it bangs the horse’s mouth, causes the horse to raise it’s head, which loosens the reins, causes the rider’s arms to draw back, and makes everything worse. Using the hands to balance is usually the result of imbalance elsewhere in the body. 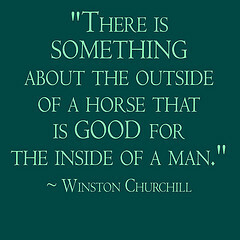 Without realizing it, we naturally over-use our hands to control the horse. When the horse resists, we use our hands to force the horse even more, easily becoming too demanding and aggressive. We do not need to use only our hands to force control of our horse, we use our whole body. Coordinate the seat, legs, and balance so the hands can be free. Takes lots of practice and experience and feeling it out! Learning to be more in tune with the horse itself than your own instinctive hand habits. Able to adjust to individual horse’s movement, attitude, mouth, carriage, discipline, and balance issues. For some exercises to develop good hands and arms, or if you just want some entertainment, visit this funny link. Hope that was useful! Funny thing is, I found this researching how to help my rider improve his hands, and now I think we need to work on every aspect of his body instead. Another great post! I really look forward to your emails!